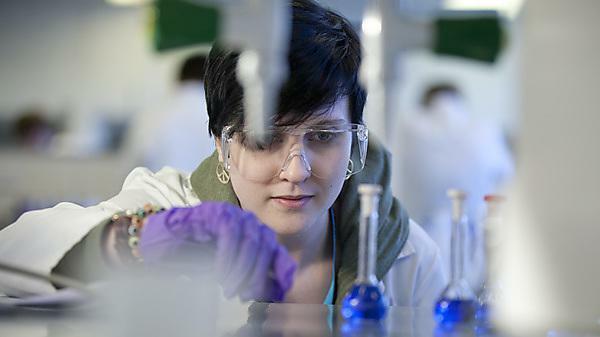 University of Plymouth offers a wide range of postgraduate research degree programmes which can be studied both full time and part time. A Research Masters is a masters level degree which incorporates taught elements and an extended research phase, including research project and dissertation, governed by research degree regulations. The degree is generic and can apply in any discipline across the University. For this award you will need to have demonstrated to examiners your ability to undertake an appropriate research programme or to produce a critical analysis of existing knowledge in a defined field. Much of the study undertaken at masters level will have been at, or informed by, the forefront of an academic or professional discipline. You will have shown originality in the application of knowledge, and you will understand how the boundaries of knowledge are advanced through research. You will be able to deal with complex issues both systematically and creatively, and you will show originality in tackling and solving problems. PhD research makes a contribution to the current knowledge of a subject and should be worthy of publication in whole or part. Doctorates are awarded for the creation and interpretation of knowledge, which extends the forefront of a discipline, usually through original research. Holders of doctorates will be able to conceptualise, design and implement projects for the generation of significant new knowledge and/or understanding. Holders of doctorates will have the qualities needed for employment requiring the ability to make informed judgements on complex issues in specialist fields, and innovation in tackling and solving problems. We currently offer four Integrated PhD programmes in business with management, marine and environmental sciences, geosciences and psychology. The Integrated PhD programme combines extensive research training with the development of professional skills. This integrated approach offers a learning environment in which to broaden and deepen subject knowledge while providing the opportunity for inter-disciplinary study to extend expertise in new directions. Similar to the PhD, Doctor of Medicine (MD) is a research degree available with the Faculty of Medicine and Dentistry for qualified doctors registered with the GMC and working in a clinical setting within the UK. The degree can be undertaken part time alongside clinical commitments. As well as the undertaking of a research project, it offers a range of professional skills courses designed to support your thesis and personal development. Please read the Regulatory Framework for Professional Doctorates. This degree programme enables eligible candidates who have not previously been able to register for a higher degree but have been research active and publishing – or making research available – in the public domain, to submit a collection of works for consideration for the award of a PhD. The submission must evidence that you have personally made a systematic study; that you have shown independent, critical and original powers; and that you have made a distinct contribution to knowledge. The submission as a whole must be framed as a single coherent research project. Read the notes for guidance for PhDs on the Basis of Prior Published Works.